Since 1999, the state of Texas has given consumers the ultimate back-to-school gift: A full weekend of tax-free items to help ease your mind and your wallet. Shoppers can expect to save about $8 for every $100 spent during the annual holiday. Couponing expert Natalie Reid offered her help you save even more. "What's great about this time of year is that most of the retailers have summer merchandise that they're trying to get out of there stores," Reid explained. 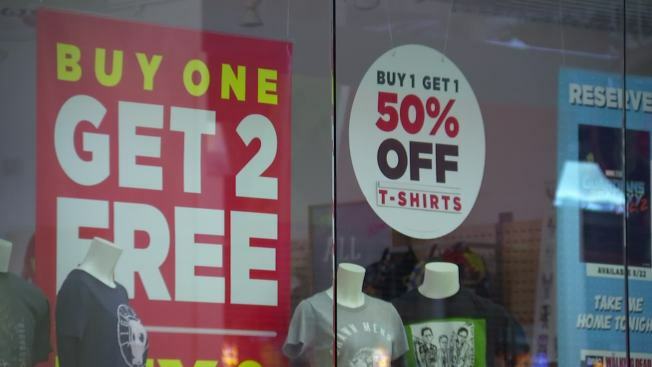 "They usually have additional 40-50 percent off that already reduced merchandise, so you can really stock up," she said. 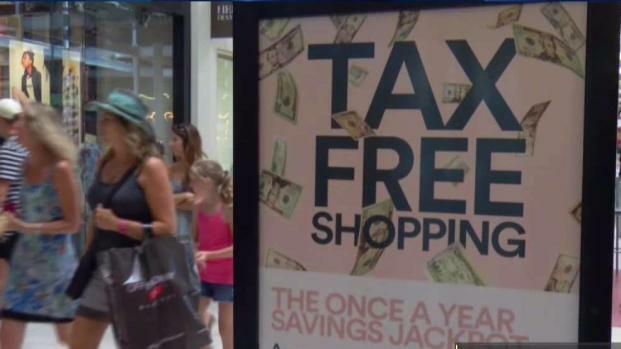 Tax-Free Weekend in Texas includes most clothing, footwear, school supplies and backpacks under $100, but there are a few other ways you can save. When it comes to stocking up, Reid said coupons are key. Before you reach for the scissors, grab your phone instead and download these apps. "I'll pull up the Coupon Sherpa app. It'll show me every store in the mall that has a coupon available. I'll click on Ann Taylor Loft. It shows that coupon, has a bar code and I can show it to the cashier," said Reid. There's also the Flipp app. It brings all of the local store sales right to your mobile device. Need another? How about Shopkick? "This one's fun," said Reid. "You open it up, you tell them where you are and you earn kicks. They can be redeemed for a gift card, a Starbucks gift card, Nike gift card." But her advice doesn't stop at coupons. Reid said you should also follow your favorite retailer's social media pages. Stores will sometimes offer special discounts and promotions exclusively for their followers. Next, create a secondary email account. Retailers may ask you to join their loyalty program for an additional 10 percent off this weekend. "But you don't want to use your primary email address. Instead, have a different Gmail or Yahoo account dedicated just for stores and sales," she explained. If you're old school and don't want to deal with technology, check to see if there are any ads at the front of the store. "Office Depot and Staples have these great penny sales: 15 cents for folders, or a penny for glue, and each week these are different," Reid explained. If the crowds are just too much for you, keep in mind the tax-free weekend deal includes online shopping, too. "You're not going to get the savings like shopping a clearance rack that has an additional clearance off. But you can compare prices a lot easier," she said.